Type 1 diabetes, also known as juvenile diabetes, is a condition where the pancreas no longer makes enough or any insulin leaving the person dependent on insulin injections to regulate blood sugar levels for life. Type 1 diabetes is typically diagnosed in children and adolescents, but it can also be diagnosed in adults. 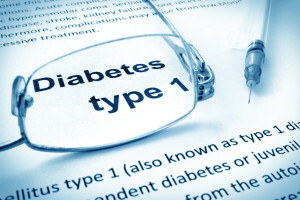 Adults who are diagnosed with type 1 diabetes may actually have a lesser known form of diabetes called type 1.5 diabetes. Type 1 diabetes has no cure, but it can be managed. With proper treatment, type 1 diabetics can live long and healthy lives. Typically symptoms of type 1 diabetes come on quickly. Symptoms include increased thirst, frequent urination, bed-wetting, extreme hunger, weight loss, mood changes, weakness, blurred vision, and yeast infections. If your child is experiencing any of the symptoms listed, you should consult a doctor. In most cases, type 1 diabetes occurs when the immune system starts attacking beta cells in the pancreas. Beta cells are responsible for producing the insulin necessary to move glucose from the blood into cells to be used as energy. 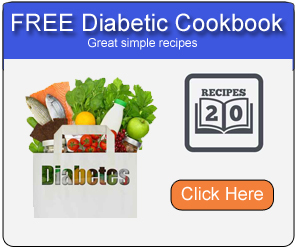 Without insulin the glucose remains in the blood leading to high blood sugar levels. High blood sugar levels can have serious and deadly consequences if not addressed. It is not known why the immune system starts attacking beta cells, but it is linked to genetics, environmental factors, and certain viruses. Treatment for type 1 diabetes has come a long way, especially since insulin was developed. Prior to insulin, type 1 diabetics were subjected to extreme diets, some as low as 450 calories a day, in order to avoid high blood sugar caused by food, and life expectancy was not long. In 1921 insulin was discovered. In 1922, a young boy in Canada was dying from diabetes, after an insulin injection his blood sugar levels returned to near normal. Insulin has became a miracle drug for type 1 diabetics, allowing them to lead normal healthy lives. There have been many advances in insulin therapy since 1921. Now there are many forms of insulin including insulin identical to human insulin, fast acting insulin, and long acting insulin. Currently type 1 diabetics must closely monitor their carbohydrate intake and inject a corresponding amount of insulin to maintain healthy blood sugar levels. Researchers are currently working on systems, called artificial pancreas devices, that do this automatically. A continuous glucose monitoring system on the body checks blood sugar levels and tells an insulin pump how much insulin to release. This will one day give type 1 diabetics a much easier way of making sure their diabetes is well managed.